Legendary Entertainment, Wanda Qingdao Studios, Warner Bros. Rated PG-13 for "sequences of monster action violence and destruction, and for some language." Actress Zhang Ziyi plays "a significant figure within the covert Monarch organization." Actress Sally Hawkins reprises her role of "Dr. Vivienne Graham from 2014’s Godzilla." O’Shea Jackson Jr. (Straight Outta Compton) is in negotiations to join the cast. Kyle Chandler (Friday Night Lights, Bloodline) is set to play Millie Bobby Brown's father in the film. Millie Bobby Brown (Eleven from Stranger Things) is the first name added to the cast. Krampus writers Michael Dougherty (Trick 'r Treat) and Zach Shields are working on the latest script, with Michael Dougherty directing. Previously had a June 8th 2018 then a March 22, 2019 theatrical release. Max Borenstein returns to script. It's said that Godzilla will fight against either Rodan, Mothra or King Ghidorah in this film. This will be followed up by Godzilla vs. Kong. The first film scored the second biggest weekend of 2014, opening at $93-million domestically and then another $103-million globally. The sequel to the 2014 US remake. I recall being in the minority of people who thought this first movie was worth seeing, although I'm glad I did so with dvd and not in theatre. "The arrogance of men is thinking nature is in our control and not the other way around. Let them fight." I'm just flat out 'stoked' about this film AND the King Kong VS Godzilla film from Legendary. I'm also hoping for a continuation of Toho's Shin Godzilla. Shin Godzilla is much better in english dub. I wonder if they'll have two different endings for the new Godzilla vs Kong that they did in the old King Kong vs Godzilla. 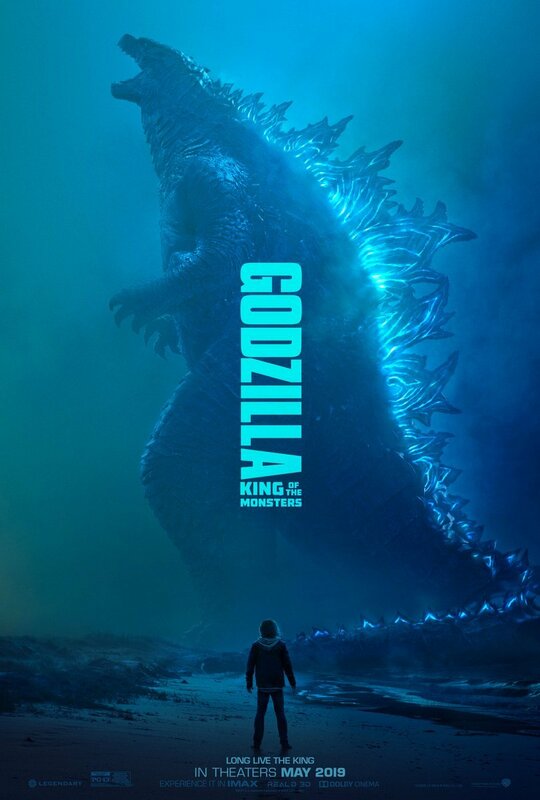 In the Japanese release of the film way back then, Godzilla won their battle, whereas in the American version of the film, Kong won out in the end. "Now, Officer Eckles, does being a police officer give you the right to beat the felgercarb out of people?" "Not at all, Officer Varner, but it is one of the perks of the job." I got to see Shin in the theater. not interested in any Kong movies.